Cup action begins on 10 January. 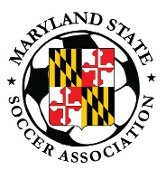 The Maryland State Soccer Association will hold cup registration through 14 December. The winners of the Rowland Cup (Werner Fricker Open Cup), Stewart Cup (US Amateur Cup) & the Maryland Over-30 (Gerhard Mengel O-30 Cup) will represent Maryland in USASA Region I qualifiers. The Morton Cup is for teams that are not interested in competing for a national cup. It is also open to teams that are not members of one of our affiliated leagues. Non-affiliated teams must register all of their players with MSSA. Teams that enter the Rowland or Stewart Cups are not eligible to enter the Morton Cup. Check the cup entry pages for eligibility. * Winner represents MD in Region I. Regional Champion competes at Nationals for USASA National Amateur title. ** Winner represents MD in Region I. Regional Champion competes vs Region II champion for semi-national title. For more information and to register for the cups, go to the MSSA web site at this LINK.